The East Coast weathered quite a storm yesterday. Snow blew sideways, and flooding in the neighborhood made the news. But our care teams were on hand to make sure the animals were fed and well cared for. Here are a few of the dedicated folks who make sure the animals at the Aquarium stay safe during crazy weather events! The marine mammal trainers bundled up to feed and play with their hardy charges outside! 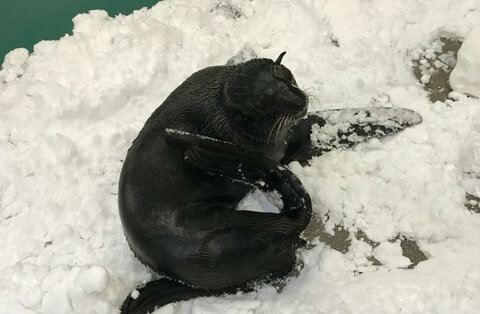 They even brought snow inside for the seals to play in because the animals love it that much. 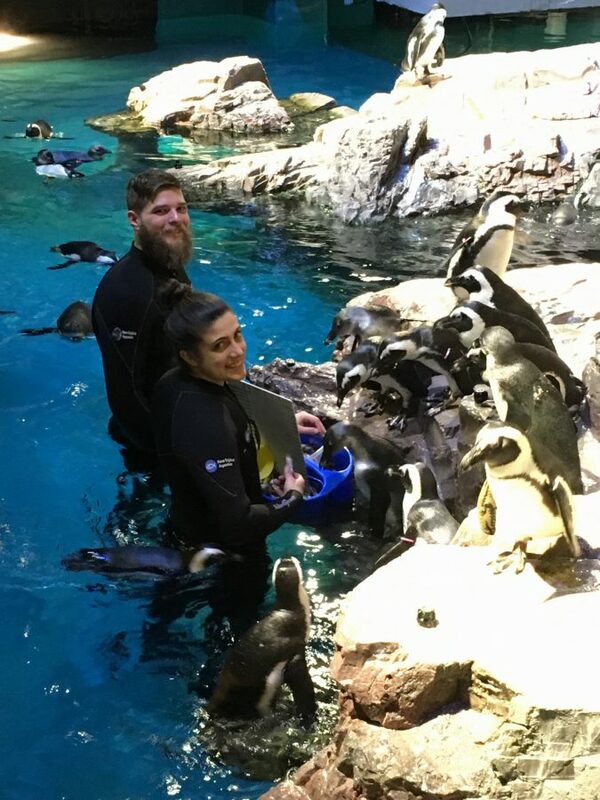 On holidays and snow days, there are brave folks who put on wetsuits and feed the penguins. The water in the penguin exhibit is heated... but only to 60 degrees! 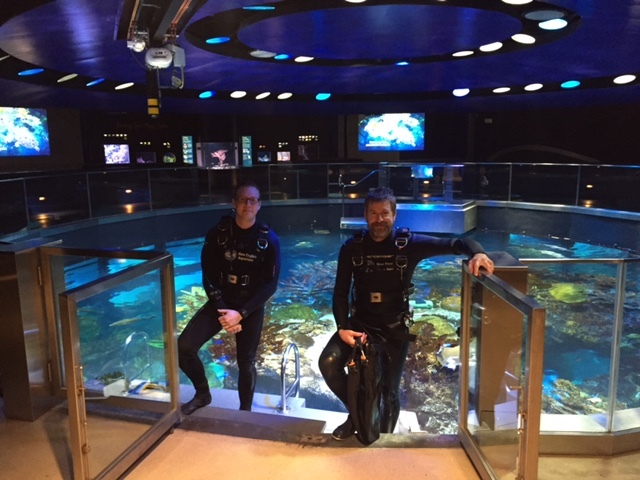 Divers fed animals in the Giant Ocean Tank, including Myrtle. ...until you have to run a quick errand outside. 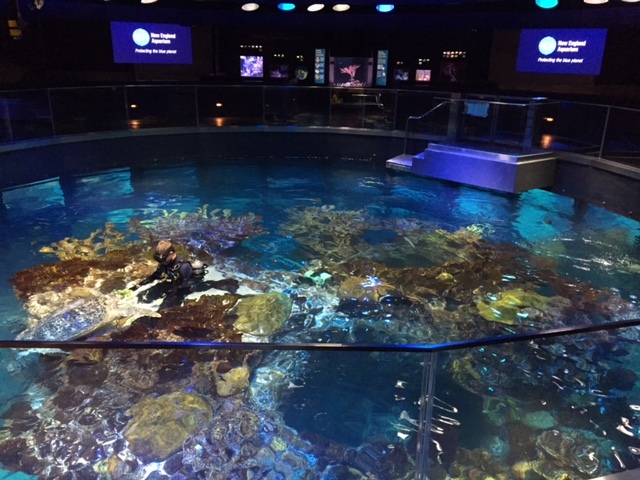 The floods have receded, and Aquarium is open to visitors once again. 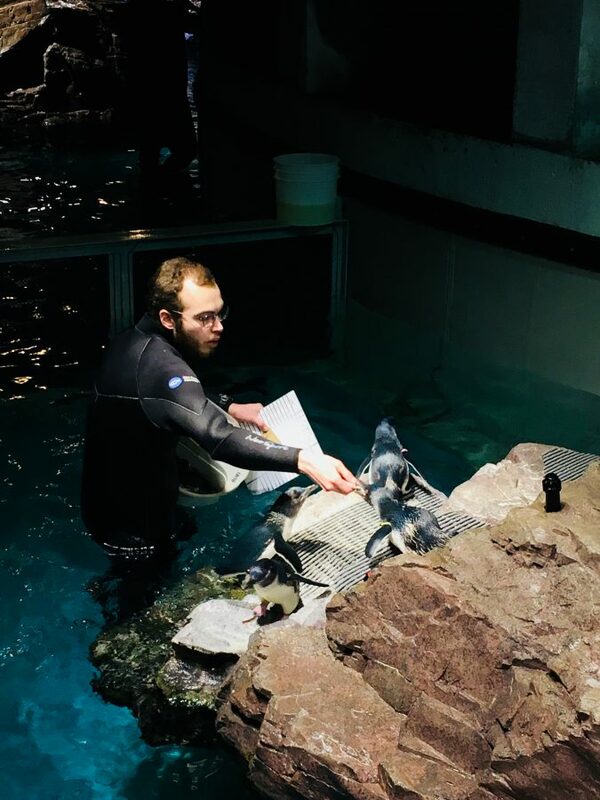 The dedicated animal care staffers are still making sure the seals, penguins, and turtles are happy and healthy, and our facilities teams are keeping the front plaza clear for visitors. 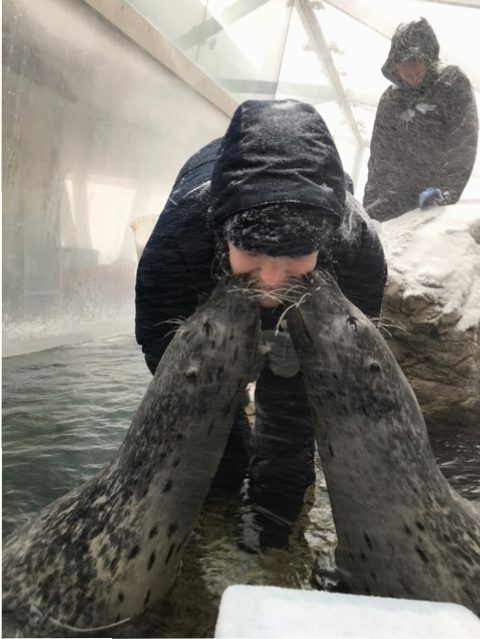 Come watch our marine mammals play in the snow and see how the animals inside are none-the-wiser. 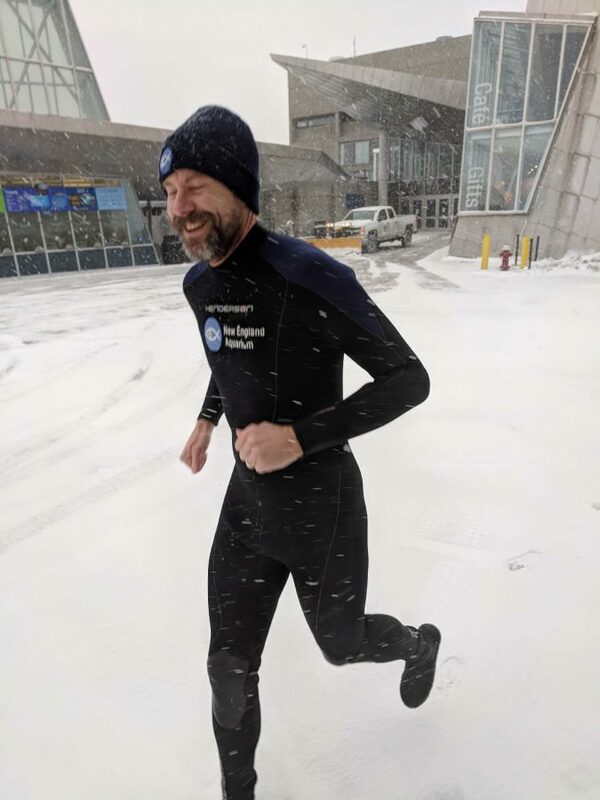 And if you spot a diver or penguin keeper, be sure to thank them for braving the bombogenesis!